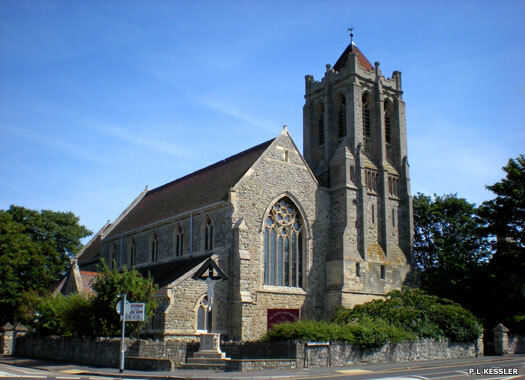 All Saints' Church Westbrook lies on the corner of All Saints Avenue and Hartsdown Road in western Margate. A mission church was opened on the site in 1874, with a bell added in 1880. The current Gothic church building was consecrated in 1894, when the nave and chancel were completed. Its construction incorporated Kentish ragstone for the main walls and Bath stone on the dressings. The lower part of the tower was added in 1897. The upper stages of the tower were completed in 1909 by W D Caroe. Two years later it was fitted with a single bell which was cast by Barwell in Birmingham. In 1936, the living was a vicarage which had a net yearly value of £400 with residence included, in the gift of the archbishop of Canterbury. In 1975, the original 1880 bell was 'discovered' lying on the tower steps, where it had presumably remained since its removal in 1909. The Archangel Michael Greek Orthodox Chapel is in Westgate Cottages, virtually opposite the former Royal Sea Bathing Hospital site. Maidstone and Margate are home to particularly large Greek Cypriot communities, with the first Cypriots arriving in the latter town from 1933 onwards. 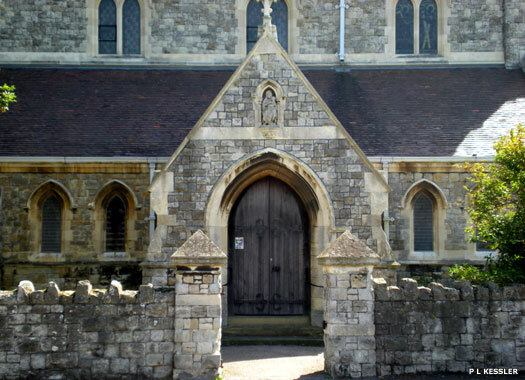 Initially, people had to travel to St Sophia's Cathedral in Bayswater in London for services, which is where the first major Greek Cypriot community in the country was centred. As the community expanded this became more difficult. 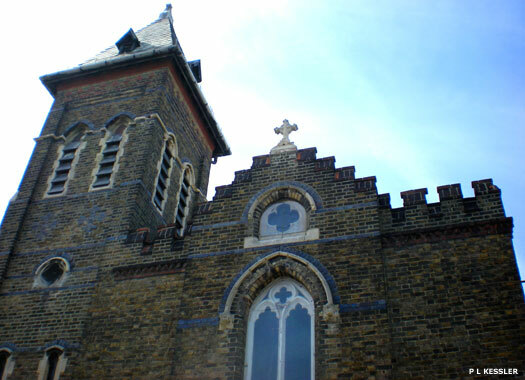 Eventually it was decided to try to establish a Greek Orthodox church in Margate itself, and the first local services began in Florendia Guest House in 1964. 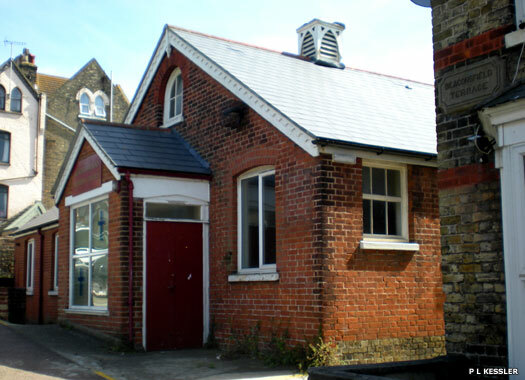 The following year the former Westgate Cottages Methodist Chapel was secured after having been a chemist shop for a time. 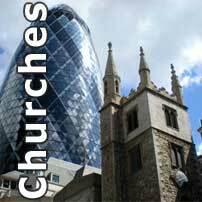 The church subsequently started a Greek evening school for children, and a community centre opened in Grosvenor Place in the early 1990s. 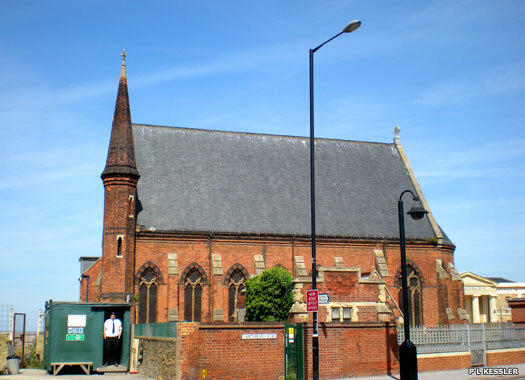 The Royal Sea Bathing Hospital Church is on the Canterbury Road in Margate close to the railway station. The Royal Sea Bathing Hospital itself was founded in 1791 by John Coakley Lettsom as a specialist hospital for the treatment of tuberculosis. In 1796 the hospital pioneered the use of 'sea bathing' as a treatment, and fifty years later indoor salt water baths in the form of swimming pools were installed so that treatment could continue all year round. In 1858 the present building was erected, but when modern medicine overtook the use of long stay treatments the hospital declined and was closed in the mid-1990s. As with many of the old specialist hospitals, this one also had its own church and services were compulsory. The pews were three-quarter length so that beds from intensive care could be wheeled in for services. In 2008-2010 the buildings were redeveloped for housing. 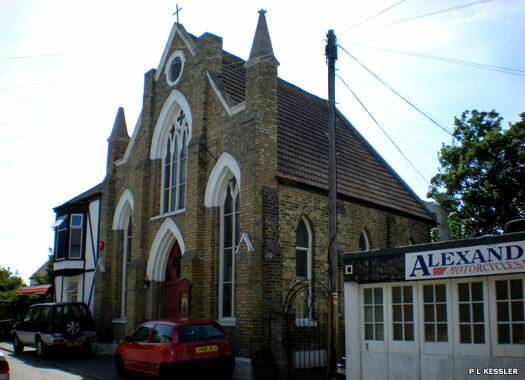 Buckingham Road Methodist Church is a relatively small building on the road of the same name in the community of houses which adjoins the south side of the main railway line. 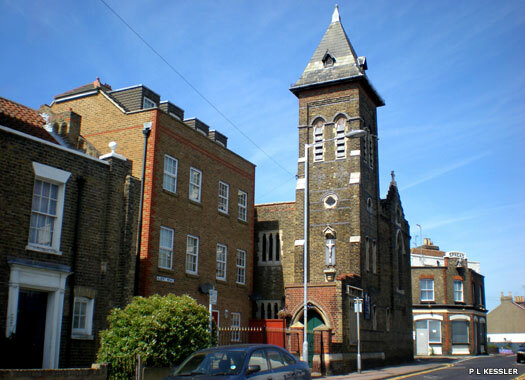 It began life as a mission hall for the Methodists, probably from central Margate, and is situated in the midst of a district of Victorian terraced workers cottages. 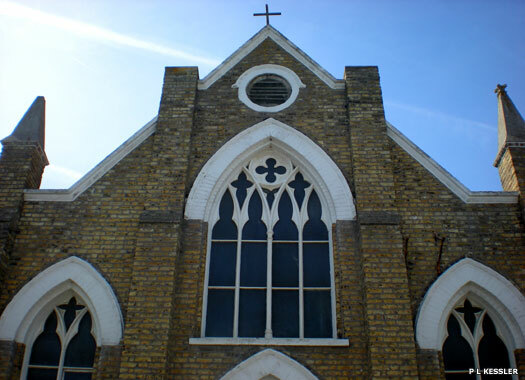 The church now shares a minister with Garlinge Methodist Church and Union Church, Margate. 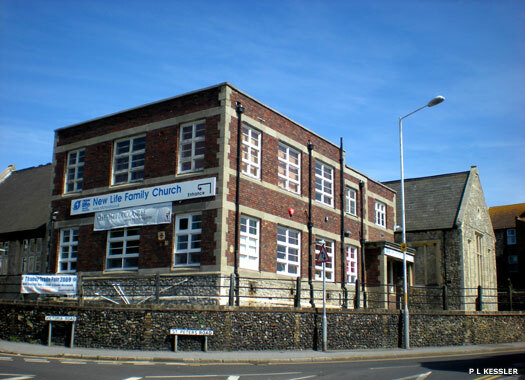 New Life Family Church is on Church Street, north of the railway, but is shown here from the corner of St Peter's Road. The church was formerly the New Life Christian Fellowship, worshipping at the Pentecostal Church, 140 The Plaza, High Street. New Life Family Church was founded in the early 1920s as the result of an evangelistic outreach crusade held in the Empire Cinema, which was situated in Cecil Square near where the library now stands. They moved here in 2003. St Austin & St Gregory Catholic Church is on the corner of Charlotte Place and Victoria Road, opposite the Spread Eagle pub. The parish was established in 1797, while the historic church began its life in 1804 as a mission chapel. 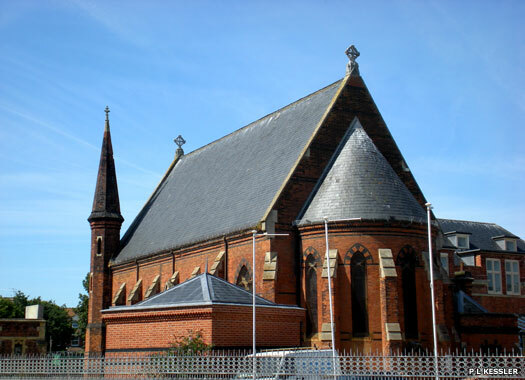 The church was restored in 1887 and there are brown and black tiles in the pavement in Victoria Road which appear to extend from the side of the church, suggesting that the building originally came out further than it now does. The visible tiles suggest the church was a partial victim of Victorian street-widening. A burial ground of approximately 4.5 by six metres (fifteen by twenty feet) also used to adjoin the rear of the building but this was paved over, probably at the same time as the other work was carried out. This was all during the thirty-year period in which Charles Sibert or Siggisbert was the priest at the church. Five or six of the surviving headstones are now cemented to the wall.